The role of the HR department seems to vary greatly between organisations. Some HR, which stands for Human Resources, departments are the real hub of their company – offering terrific legal and emotional support for workplace issues and fulfilling their position as the ‘middle man’ between the employee and the employer. However, it is also true that some HR managers and their teams are petty, unhelpful and, all too frequently, complete jobs worth’s. If your HR department falls into this category, unfortunately a lot of the usual support offered by a decent human resources team will not be available to you. 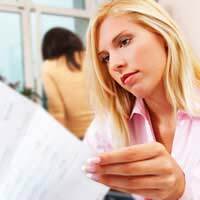 Once you have realised that your HR department is not very positive or active – you will probably find this out by asking their advice when you come up against a difficult work situation or need some clarification of your contract of employment – you will need to consider taking matters into your own hands and dealing directly with your line manager or managing director, as appropriate. Do not keep banging your head against a brick wall – who can you complain to? Certainly not HR! So, if you have a good human resources department – and most of them are great – then make use of their expertise to help your career run more smoothly. Most senior HR staff will have a CIPD qualification (CIPD stands for Chartered institute of Personnel Development) which is a post graduate qualification gained in stages. Even if they are not fully CIPD qualified, they will usually be working towards it, rather like accountancy exams. Less senior HR staff will usually have some background in human resources administration or perhaps recruitment – any experience that is connected to people, interviewing, effective people management and personal development is appealing for HR roles. They may also be planning to study for their CIPD qualification, or be looking for promotion that includes CIPD support. Good human resources teams are interested in the practical details of the employee’s contract of employment situation and their emotional wellbeing. They tend to be good listeners and keen to help those employed by the company to be the best they can be. Your HR department is a great place to talk through any concerns you may have with a colleague or boss as well as talking through any personal issues. If you want to talk to your HR manager or a member of the human resources team about a workplace concern, you can usually just pop into the HR department and have an informal chat. They often have an ‘open door’ policy that encourages this – just be aware that if you say anything that is particularly troublesome, they will have a duty of care to take it to the next stage. When you first start in a new job, you may find that you deal with the HR department more – they are often the people that arrange and send you your contract of employment, deal with details such as what details to put on your business cards, or sorting out your parking space. Once you have been in the role for a while, HR can also play a role in payroll concerns, negotiating a pay rise or clarifying holiday or maternity and paternity entitlement. I had an accident at work last April, which has caused a problem with my back and hip for which I am taking prescribed painkillers and having physiotherapy. Should my place of work have offered me any help with my recovery programme or financial advice. The HR manager kept sending for me to go to meetings, but was only interested in my returning to work. This is still not possible as I am a night carer with very demanding workload. She has now threatened termination with no advice forthcoming. Do I have any rights for compensation from my workplace? If the problem was caused as a result of your employer's negligence, you might want to seek advice from an employer/injury claim lawyer to pursue this.